Young people face many periods of transition. Scouting offers the perfect opportunity to support them and give them the benefit of your knowledge and experience. Here’s some advice on tackling a selection of issues that might come up in each section. At this age, you can focus on the emotional impact of change and how to cope. Give young people the chance to talk about their wishes, worries and fears, and let them work through them. For some Scouts experiencing change, attending Beavers will give them a chance to take their minds off what is happening, so they might not want to talk. For others, being able to speak to their friends about how they’re feeling is really valuable. All you need to do is create a safe space. This is also a great time to start introducing messages about change often being positive. Emphasise this when new members and volunteers start, and if you have to move locations or change the time of your group. According to one in10 school leaders, over 50% of young people don’t achieve the right levels of ‘school readiness’ when they start secondary school. According to leaders, the most common ways young people are under-prepared include lack of resilience (53%), lack of social skills (46%) and low self-esteem/confidence (47%). By becoming Scouts, young people will already get a boost in these areas. However, almost everyone gets nervous about moving into secondary school. 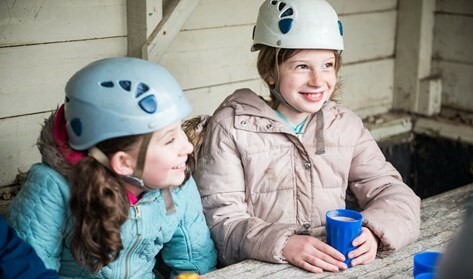 Hold a session where older Cubs can discuss the move, and bust some myths together! If they’ve been told that having to attend so many different lessons is overwhelming, you can reassure them by drawing a connection between their new timetables and the range of badges they work towards – for example, young people who were excited about their Backwoods Cooking Badge can look forward to food technology, and those who got stuck into their Science Badge will be able to explore physics, chemistry and biology in more depth. It’s also good to remind older members how expectations of them at secondary school will be different to primary school. They will have more responsibility over their time management, learning, clothing and equipment. Having them prepare for trips and activities will teach them these skills anyway but you can remind them that at their new school, they’ll need to pack their own bags and learn to prepare properly every single evening. You can also talk about how they can plan their own journeys to school, emphasising the importance of safety. Linking this to their Personal Safety Badge is a great way to do this. 90% of success is preparation. You can show your young people how to prepare for exams by creating timetables (except with something more fun than revision – like preparation for a trip or a new badge). You can also talk about relaxation techniques. Introduce your Scouts to mindfulness apps and gentle forms of exercise like yoga, and emphasise taking regular breaks. Getting into nature has also proven to be beneficial for mental health, reducing brain fatigue, stress and anxiety. A 2010 study found that participants who walked in a forest had lower blood pressure and levels of cortisol (the stress hormone) afterwards than those who strolled through a city. So plan an expedition into the nearest forest or green area around the time of exams, to help everyone relax. One of the best ways you can support your young people in preparing for further education is by helping them work out what they’re passionate about. What badges have they particularly enjoyed working towards? Are they happiest when teaching and helping others, or do they come alive when they’re using their hands to create something? Once they know what they’re going to do, encourage independence by getting them to take their Scouting to the next level. It could be a good time to discuss going for their Queen’s Scout Award or their Silver or Gold Duke of Edinburgh Award, for example. These awards involve committing to activities such as learning a skill, taking up a physical activity and providing a service, for six months to a year – demonstrating commitment and dedication, and preparing them for the reality of a minimum of three years at university or similar environment. They also involve overnight stays in unfamiliar environments with people that are unknown to them – an excellent way to get them ready for leaving home. Finally, although Scouts always look out for each other, it doesn’t hurt to remind them to support each other during times of transition and to look out for any other young people who seem vulnerable or lost during periods of change. It’s not just about getting each other through difficult times, but about helping others to get through them too.